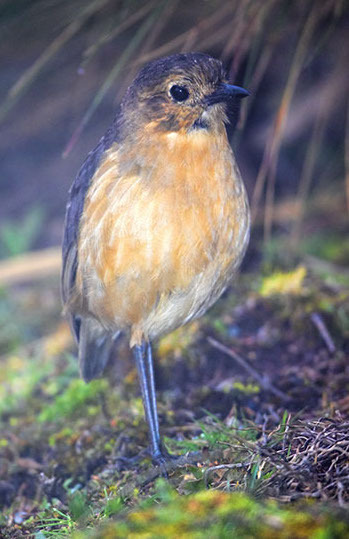 Tawny antpittas are large, high-elevation birds that are much more willing to emerge into open areas than most antpittas. This one was photographed in very dense fog (not unusual in paramo) at about 4000 m Los Nevados National Park in the Central Andes of Colombia, near Manizales. It shares its habitat with the striking buffy helmetcrest.